No matter what your feelings are about Brexit, now that the storm has started to settle it is time to shift focus from the emotional to the practical. What do you need to do to make sure Brexit will not work against you as an expatriate? For now, nothing has changed for expatriates following the referendum, so you can continue enjoying the benefits of living in France as before. While this is likely to be the case for two years or more – and hopefully longer – there are things you can do now to help you deal with future developments. 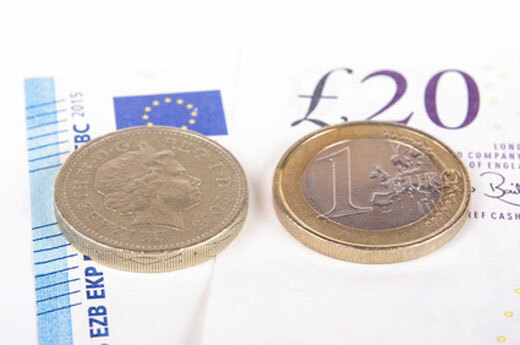 It is common for UK nationals to keep most of their savings and investments in British pounds. It is a familiar currency, after all, and it is natural for expatriates to retain financial connections with the UK, such as through property or a British bank account. Once you live outside of the UK, however, this approach carries currency exchange risk. If you are living in France and spending euros in your daily life, it can become much more expensive to take your income in sterling. This was especially true following the Brexit announcement where, the sterling exchange rate fell sharply. To get around this issue, you could choose investment structures that allow currency flexibility so you can wait for a favourable time to convert from sterling to euros. When it comes to investing, many expatriates also favour British assets, like bonds issued by UK companies or shares listed on a FTSE index. This bias is more likely if your adviser is based in Britain, as UK advisers often structure their clients’ portfolios this way. A side-effect of this could be that your financial planning is more suitable for a UK resident. Without local expertise, you could miss out on opportunities available in France that could work more favourably for your circumstances. In any case, it is important to make sure you are not overexposed to UK assets at the expense of diversification. Those with a heavily UK-weighted portfolio would, for example, have suffered from the post-referendum aftershocks in the UK stock market. While this has since recovered, likely market uncertainty ahead means it is more important than ever to have a well-diversified portfolio. With savings and investments, you can minimise risk – Brexit-related or otherwise – by putting your eggs in several baskets. A portfolio that is diversified by currency, region, asset type and market sector will limit your exposure in any one area. This means you will be best placed to ride out any currency or market turbulence. Ideally you should seek financial advice from an adviser based locally in France, who can review your portfolio with the full understanding of the UK and French tax implications and opportunities. They should make recommendations tailor-made for you using a range of different strategies across all the geographical regions, sectors and asset classes. When it comes to the taxes you pay in France, there is no reason for anything to change post-Brexit. Your tax treatment as an expatriate is driven by the UK/France tax treaty that exists independently of the EU. However, you should still seek advice to establish whether there are any potential implications specific to your personal circumstances. For example, if you hold UK bonds, you may lose beneficial tax treatment in France once the UK leaves the EU. An adviser can recommend more tax-efficient ways to structure your investments, such as the most suitable EU-issued assurance-vie to offer you currency flexibility. 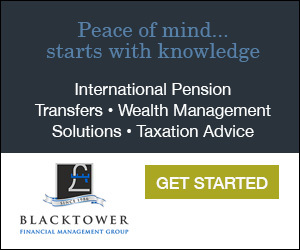 Now is also a good time to review your pension funds. Based on current law, Brexit should have no impact on how you can take out or transfer your UK-registered pension schemes. However, there is speculation that the UK could introduce an ‘exit tax’ for pension transfers by non-UK residents. Although unsubstantiated, those concerned about this potential scenario could consider transferring their UK pension to a suitable regulated pension scheme. As with any decision about your pension, it is crucial to seek professional guidance to establish the right option for you before taking any action. Remember that, whatever happens, it is important to regularly review your financial planning. Regardless of Brexit, your circumstances and objectives can change over time, so what is right for you now may not be so suitable in two years’ time. Now has never been a better time to build a good relationship with a locally-based financial adviser who can keep you informed of developments that affect you specifically as an expatriate. They can explain the cross-border implications and help you plan if and when you need to take action so you can continue enjoying your chosen lifestyle in France.